I then added the heart pocket. 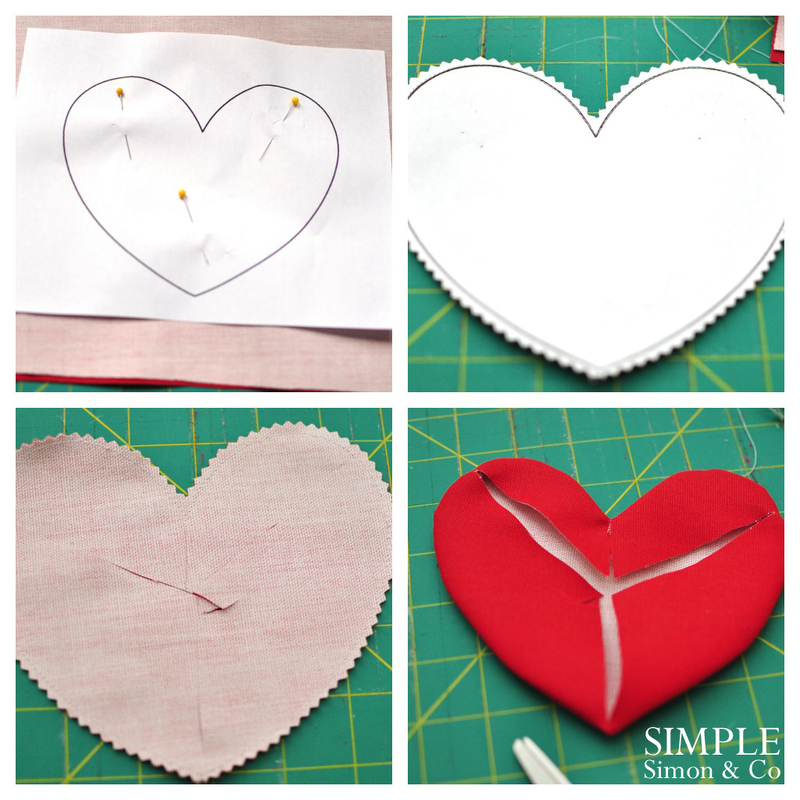 I did my heart pocket like I do my applique projects ….but I did take a few pictures to show you how…. Step 1: Place two pieces of fabric right sides together with your pattern on top. Step 2: Sew on the pattern line (through the paper) then cut out. Step 3: Tear off paper, and make two or three slits in the back fabric. Step 4: Turn your heart and press well. If you want this to be a pocket you need one more step (that I forgot to take a picture of). Trace and cut one more heart from extra-heavy fusible interfacing and iron it on the back of the pocket to cover up the slits and to hold the fabric in place. 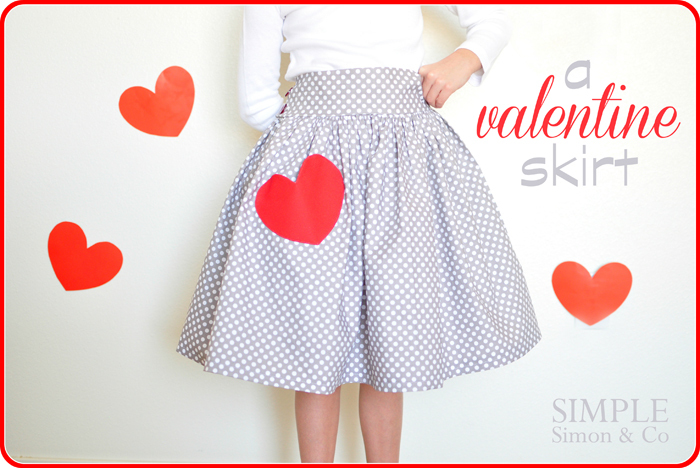 Then sew it on your skirt with a hole just big enough to slip a hand inside. 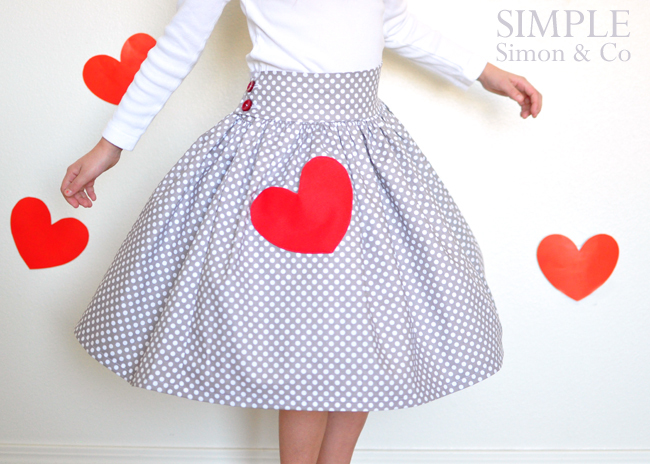 And then take a twirl….they really are the perfect twirling skirts. PS Linked here, here and here. Oh my word super cute! what a fun skirt for her, I love the fullness. I wish I had one for V-Day for myself. But sadly I don’t think it would be as becoming. This is some serious cuteness! Linking to you today E & L!!! What an adorable skirt! This is my first visit to your blog, but I’m sure I’ll be back! Also, just wanted to say that I love that your daughter is named Hannie– my name is Hanni, and I’ve never met anyone else with the name! I love the retro look of this skirt! The red buttons are a nice detail! I am so in love with this skirt! I got a new Singer for Christmas and am itching to make some new clothes. Where do you get all of your great fabrics? I love that this polka dot fabric looks quite sturdy. 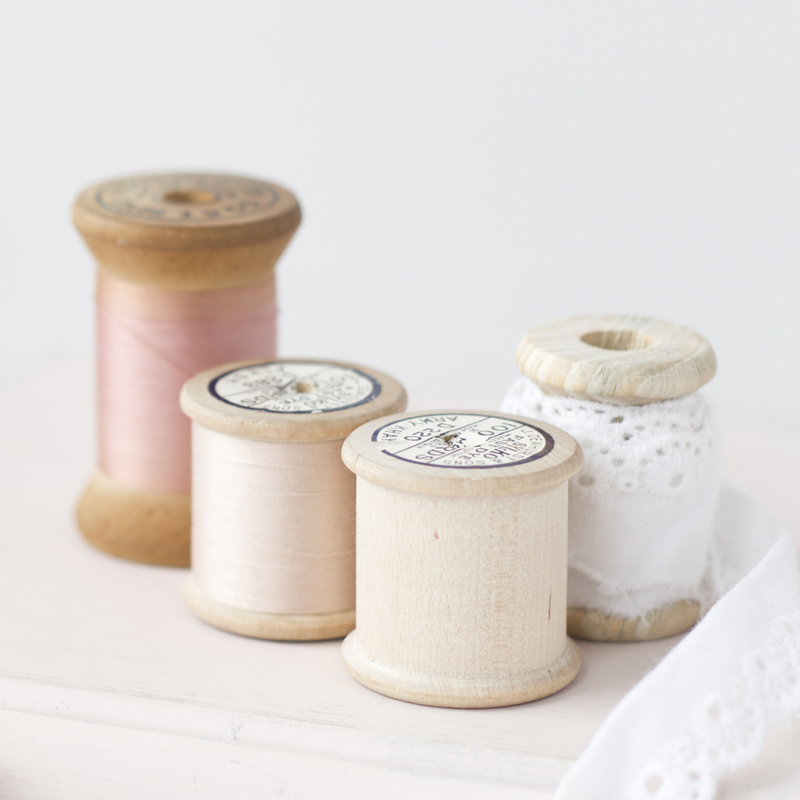 Thanks for your great work; you are my favorite sewing blog! Thanks again!